The epic Lhasa to Kathmandu cycling journey has historically been sold as an mtb trip but, as time passes, progress very often occurs in tandem with a fresh new ribbon of tarmac road. In the case of Lhasa to Kathmandu the mountain biker’s loss is very much the road, cross, gravel and adventure rider’s gain. This is one line on your Strava Heatmap that you will never forget earning! The ‘Pave Tibet’ programme means we are now able to open up this this adventure for the first time to road bikes, with touring tyres, and to cyclo cross bikes – all the way from Lhasa to Kathmandu. Miles of tiresome grinding along the tarmac with chunky knoblies are finally replaced with a road biking and cultural extravaganza with truly epic climbs, descents, wild views and experiences. 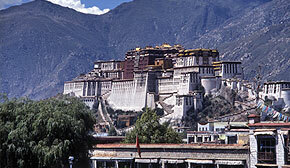 Due to restrictions on Visa’s – we require ALL clients actual passports in order to obtain visas for Tibet. This will be done on arrival in Kathmandu. Passports are collected on arrival, along with the appropriate Visa Fee and this then takes three days to process, which increases the trip to 25 days. So, our first three days on trip, prior to flying to Lhasa, is spent cycling in and around the Kathmandu Valley taking in many historic places and experiencing rural Nepali life. This all helps with our pre-trip acclimitisation and gives us time to fix any bike niggles … not to mention the fact that the riding and scenery in Nepal is World Class. Tackling this trip in the pre or post monsoon weather windows of early April and August / September will put miles in your legs in preparation for the sportive or cyclo cross seasons ahead, not to mention additional Red Blood Cells too. Why Book with Rather Be Cycling? – ALL of our Tibet & Nepali biking trips include the services of both a UK qualified and experienced Rather Be Cycling guide and a experienced local Nepali mtb guide regardless of the group size. This adds value, professionalism and expertise to your trip. Check the small print to see if a qualified guide is included with other operators trips – they often aren’t or are only added in on large group sizes. 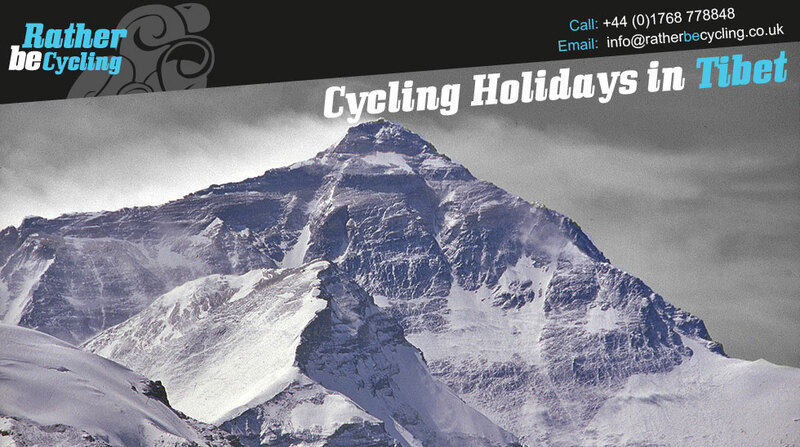 – Our adventurous cycling holidays are organised by cyclists for cyclists – we even clean & lube your chain each day.